Today, I completed putting the borders on the Transformer quilt. There are three borders: red, blue, and black. I was short ONE black strip, so I had to go to the Mesquite Bean to get what I needed. Yesterday, I went on a tour of Brackenridge Park. I have lived in San Antonio since I was two, and the park has always been a special place for me. The tour was sponsored by the Brackenridge Conservancy. Three of us were invited to this tour by a very special friend of ours. The tour was so informative and enjoyable. We were also able to see so many beautiful ducks and birds. The morning ended with a picnic lunch. While enjoying the day with my friends, I suggested we make a quilt to donate to the Conservancy. or they can choose to raffle it at one of the many events that they sponsor. We would include photos that tell the history of this beautiful park. We need to ask if they would like a quilt. 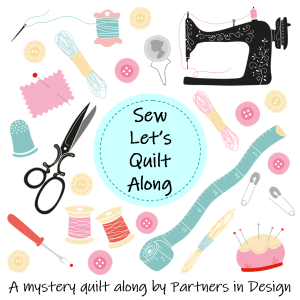 If so, we will set up our sewing days again. We had stopped meeting for sewing. This is on the list of possible projects. My friends and I love to go birding. So, it was an added treat to be able to see these beautiful creatures while on our tour. Today, I have spent some time designing a Texas Wildflower quilt. I am planning on using the Wildflower VIII fabric by Moda. My friend, Nancy, showed me some of this fabric that she purchased, and I think it would be perfect. She and I are still working on a design. A friend of my brother just had twin girls. I ordered some fabric charm packs to make each sweet girl a tote. New parents can always use totes. Later, the girls can use them for their books or toys. Being a mother of twins, I understand that the individuality of each baby is important. My brother said he can already see who the bossy one will be. So I ordered a Windham Basic Brights Charm pack that has colorful polka dots, stars, flowers and other bold and cute designs. It looked sort of bossy and bold. I ordered a charm pack by Moda, entitled, Grow! It looked peaceful and friendly. After looking at the Windham website, I think I might order the Dot. Dot. Dash! charm pack to use instead of the Grow. I like the variations of polka dots. In October, I remember wandering in Las Colchas, in search of inspiration. I found this beautiful jelly roll of French General fabric by Moda. I originally planned to make a quilted purse using a pattern I purchased at Las Colchas. The roll was placed in my “to-do” bin. Because I had already made a jelly roll quilt, I decided to use the French General roll to make this celebration of Christmas quilt for a very special and beautiful person. Thanks to Jeana, who squeezed this into her long arm schedule.